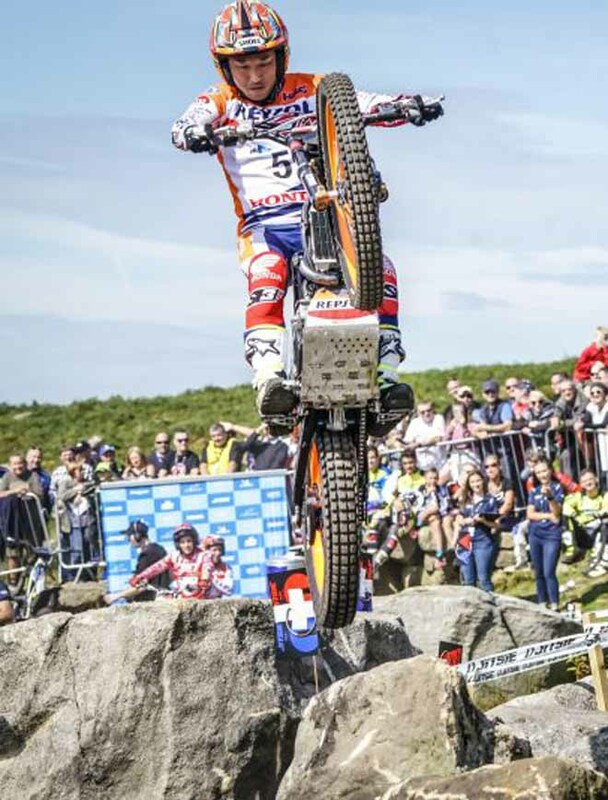 Huge crowds watched on asToni Bou - Repsol Honda and Emma Bristow - Sherco clinched the TrialGP and TrialGP Women 2018 FIM Trial World Championship crowns at TrialGP Great Britain - round seven of the series held at Silsden on Sunday. 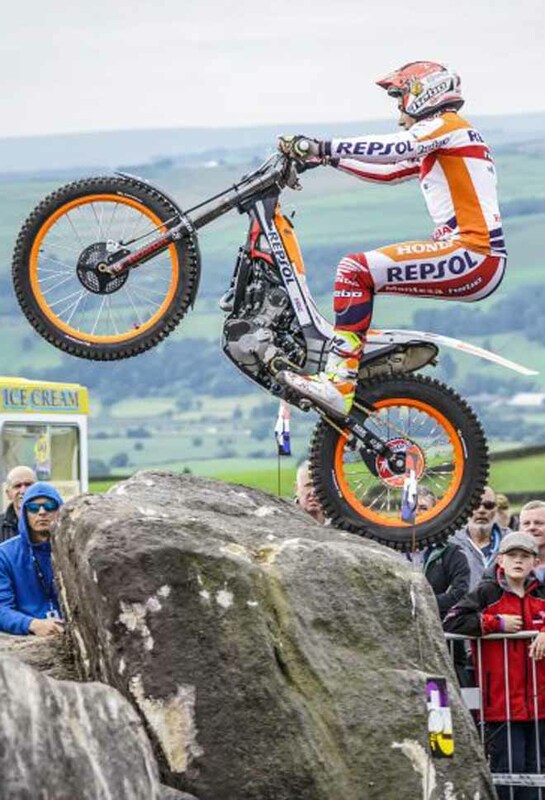 For Spanish superstar Bou it is his twelfth consecutive title while British lioness Bristow has now won for the last five years, but the manner of their victories on Addingham Moorside - high above the Yorkshire town regarded as the spiritual home of Trial - was very different. 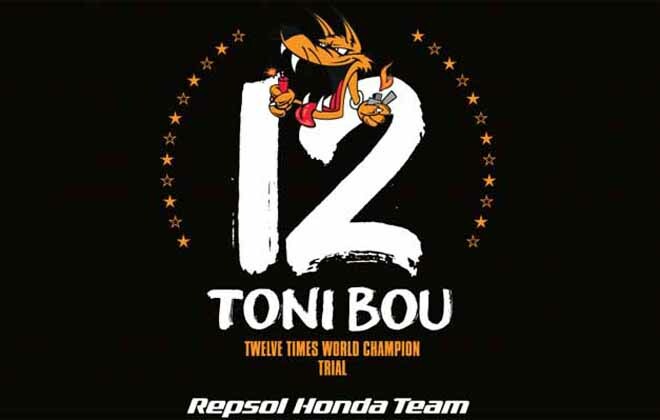 With the sections laid out on the imposing boulders and towering rock faces that make the venue so iconic, Bou was forced to wait until the very last section of the Trial to make sure of the win and the title with one round still to go. By contrast, Bristow dominated her class to take a clear-cut and emotional home GP win. "I'm very happy," says Bou. "To take the title with a victory is a very special moment. I had to fight to section fifteen for the win with Miquel and Adam today. It was a perfect way to take the championship. For me it was a difficult season after injuring my back so I'm really going to enjoy this moment." 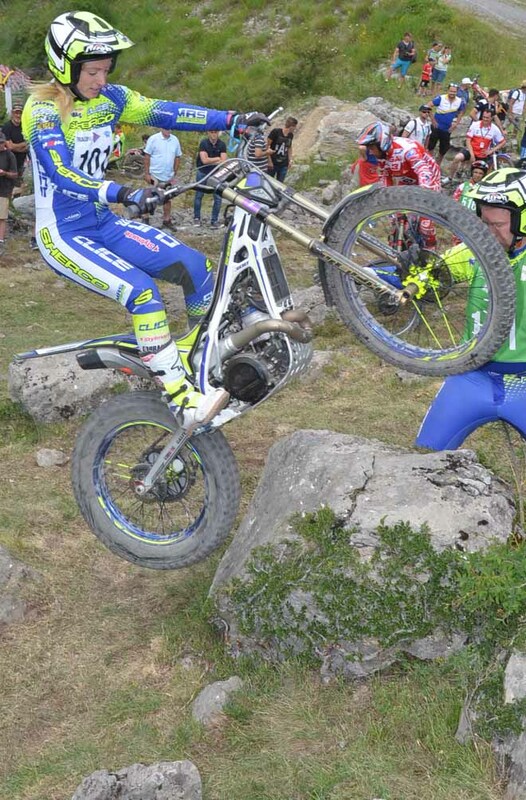 It was Spain's Miquel Gelabert - Sherco who took a shock early lead, completing the opening lap for a loss of just three marks compared to Bou's total of eight and Adam Raga - TRRS who was on nine. The twenty-year-old was then put under incredible pressure on lap two as Bou and Raga turned up the heat. With the sun-baked rocks offering almost limitless grip the scores were low and Gelabert held his nerve until the final four sections when - with his total for the Trial just five - he finally cracked. Adding an additional ten marks to his score including a maximum on section fourteen, he was pushed back to third as Bou and Raga both posted second-lap totals of three. With Bou incurring two time penalties and Raga adding an extra three after both took too long on the opening lap, the win - his sixth of the season and fifth in a row - went to Bou by two marks from Raga who took second on a most-cleans tie-break with Gelabert. 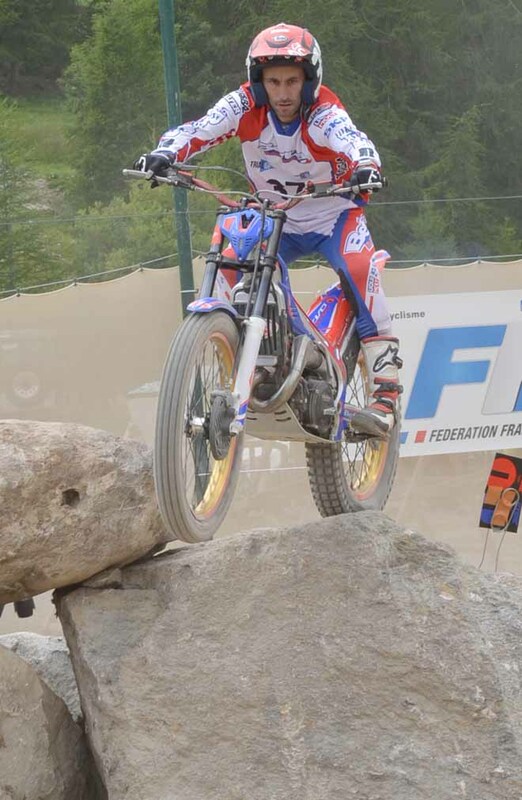 Veteran Japanese rider Takahisa Fujinami - Repsol Honda was six marks further back in fourth ahead of the Spanish trio of Albert Cabestany - Beta and Gas Gas team-mates Jeroni Fajardo and Jaime Busto with Britain's James Dabill - Beta eighth. The result means Bou now leads Fajardo by thirty-three points and cannot be caught with just TrialGP Italy to go on 15/16 September. The battle for second will, however, be intense with Busto only four points behind Fajardo and just one ahead of Raga. Bristow's reign as the Queen of Trial will last at least another year after the twenty-seven-year-old completed an unbeaten season. With the feet-up females competing over a shorter three-round championship she made sure she signed off in style. "What a great day," says Bristow. "I'll remember it forever - I've won the title with a win at my home GP. I'm always hard on myself and I didn't have the perfect day and was a little bit wobbly to begin with, but everyone has been so supportive and it is such a nice feeling." After trading cleans with Ingveig Hakonsen - TRRS through the first five sections, Bristow took control in the closing stages of the opening lap with her total of seven half that of the Norwegian. On lap two she added a further twelve to her total, but with Hakonsen dropping twenty-four on her second lap Bristow's eventual winning margin was a healthy nineteen. Spain's Berta Abellan - Vertigo came home third to secure second position in the championship ahead of her compatriot Sandra Gomez - Gas Gas who ended the day sixth. Britain's Donna Fox - Montesa, who was making a wild card appearance, missed out on a podium by one mark with Maria Giro - Montesa from Spain rounding out the top five. 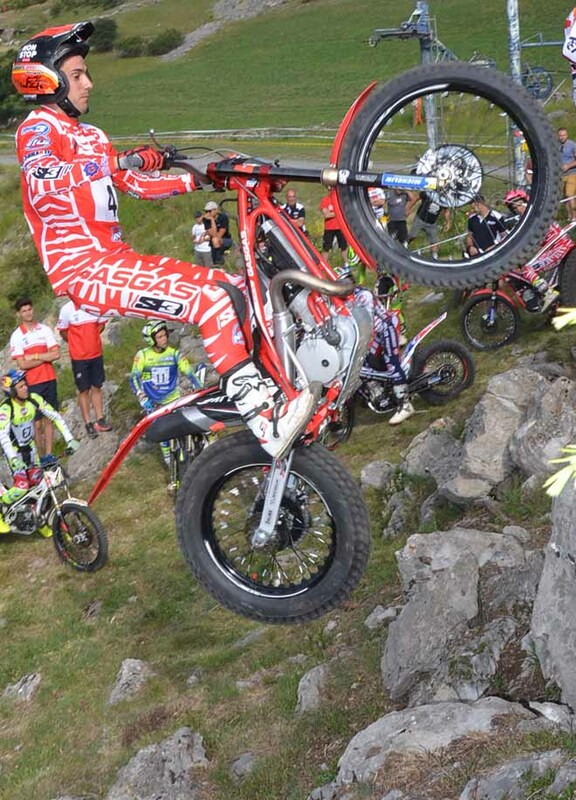 Britain's Toby Martyn - Montesa came out on top of a photo-finish in Trial2 after he tied on a total of twenty with veteran Italian Matteo Grattarola - Honda. Incredibly, the pair recorded identical numbers of cleans, ones, twos, threes and fives, but the eighteen-year-old took the verdict by virtue of his Q2 win yesterday. The victory - Martyn's third in a row - gives him a five-point lead in the championship heading into the final round in Italy. "I've had a tough day and it's been a close day, but we've put it on top of the podium which is mega for the championship," says Martyn. "We'll go to Italy fighting as hard as possible." Grattarola led on four after the first lap, one mark ahead of Martyn. The pair then went head-to-head on lap two with the advantage swinging between them before Martyn finally drew level with a sensational clean on the final section after seeing Grattarola go through for a dab. 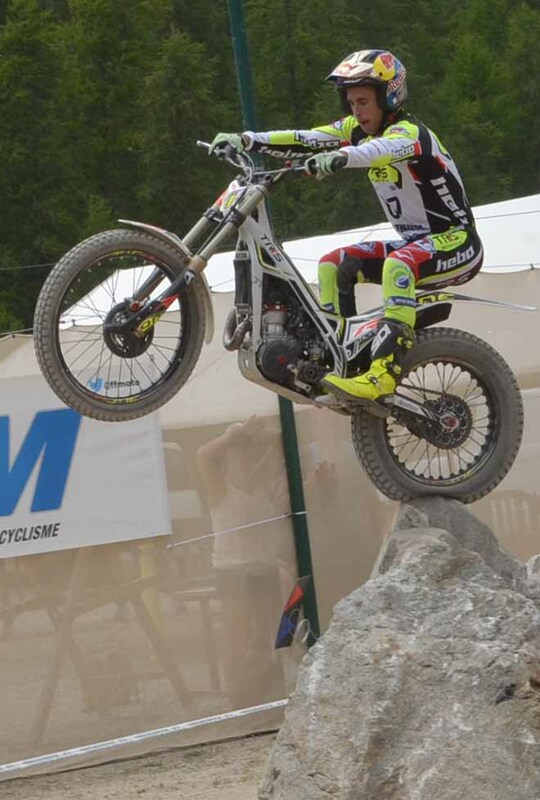 Following an expensive first lap, Spain's Gabriel Marcelli - Montesa fought back for third ahead of Britain's Jack Peace - Gas Gas and Italian Lorenzo Gandola - Scorpa, last year's Trial125 Champion. 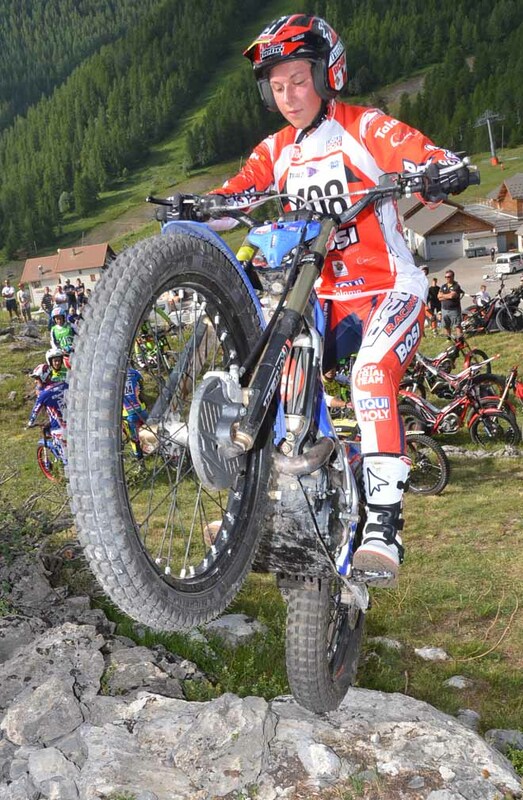 In the Trial2 Women class Alex Brancati - Beta from Italy recovered from a poor opening lap to take victory and with it the title. The seventeen-year-old - who recorded an unbeaten season - was fifth at the halfway stage, but fought back with her second lap total of just six putting her on twenty-three and giving her the win on a three-way most-cleans tie-break from German pairing Rosita Leotta - Beta and Sophia Ter Jung - TRRS. "I was nervous and my first lap was very bad, but on the second lap I was riding very good," says Brancati. "I am so happy. I want to ride TrialGP Women next year. It is very exciting." America's Maddie Hoover - Gas Gas had her worst finish of the season in sixth, but still ends the championship in a comfortable second position ahead of Ter Jung. 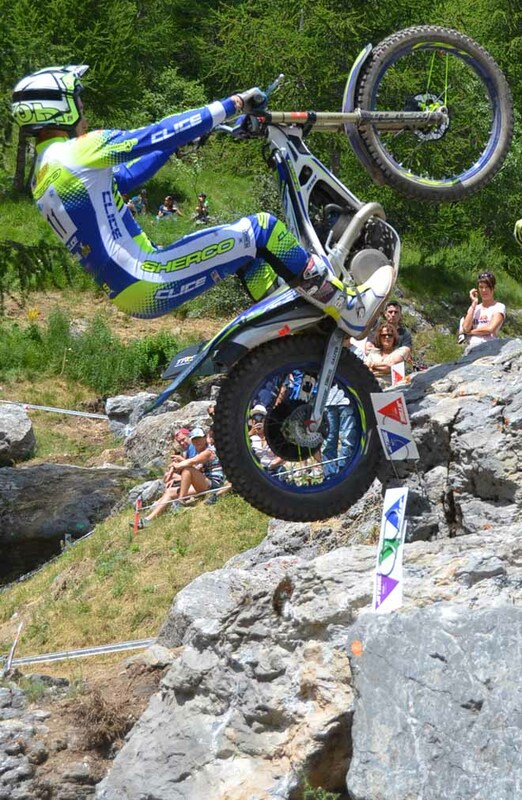 The final round of the TrialGP series will take place in Italy on 15/16 September.